Shipbuilding and collecting have been popular hobbies for generations. Long before store-bought kits were available, ship lovers made models by hand, using whatever tools were available. 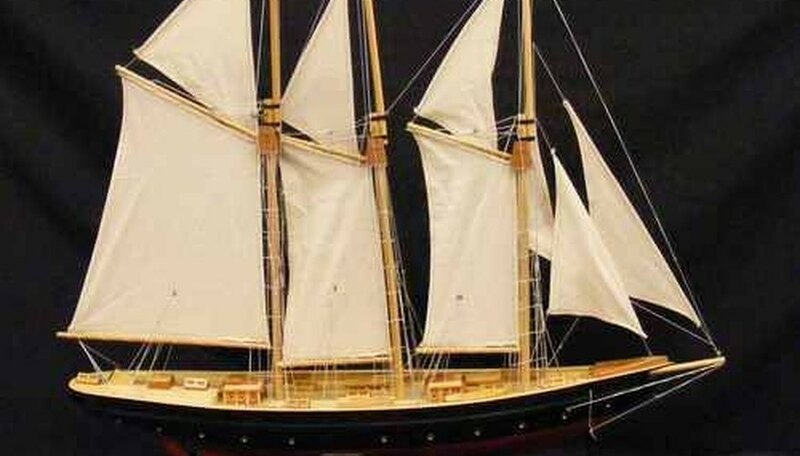 You can build a realistic model ship yourself, without a kit. Select your wood. Balsa is a good choice. It's light weight and easy to cut. You can buy balsa from hobby and craft shops in strips and blocks that are perfect for building models. Determine the scale you want to work in. Model scale is written like this: 1/12. This would mean that one inch for your model ship represents 12 feet of the real ship. The scale you choose depends on the size you want your model ship to be. Cut the hull of your ship from a block of balsa. Use a small carving knife to accomplish this. Shape the hull and fashion the deck all in one solid piece. Carve the bottom of the hull flat if you want the ship to stand on its own. If you prefer to have a separate stand for it, use a second block of balsa to carve a stand with a notch in it that will fit the bottom of your ship's hull. Use your imagination to create your ship or work from a photo to re-create a classic design. Sand the hull of your ship with a light-grain sandpaper. Use thin wooden craft sticks for the masts. Glue these to the deck of your ship. Cut pieces of cotton sheet cloth for sails and use scissors or the tip of your carving knife to put holes in the cloth pieces so you can string them to the masts. Use a small engraving tool to add any ornamental designs to your ship and to apply detail to the cabin and deck. Once you've added your details, go back over the ship with sandpaper again, removing any excess wood. Use wood varnish to give your ship a finished look. You can paint the ship with acrylic paint if you want to add color or use the acrylic paint to emphasize ship emblems. String the sails of your ship to the masts with black or white twine. Sewing thread will work just as well. You can use the acrylic paint to add designs to the sails as an extra touch. Once the sails are in place, your ship is ready to display.